How Is Bleed Used in Graphic Design? In printing, when any image or element on a page touches the edge of the page, extending beyond the trim edge, leaving no margin, it is said to bleed. It may bleed or extend off one or more sides. Photos, rules, clip art and decorative text elements can all bleed off the page. The decision to bleed an element off the page is a design choice. However, elements that bleed off the page can add to the cost of printing because the printer must use a larger size of paper to accommodate the bleed allowance and then must trim the paper to size afterward. 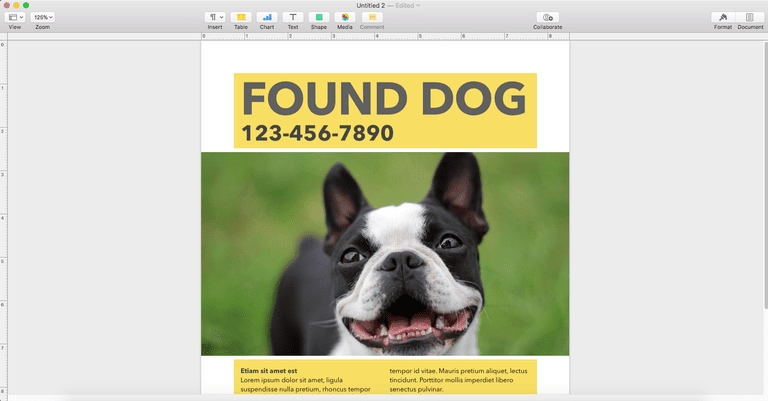 To reduce costs, redesign to eliminate the bleed or reduce the page size enough to fit the work on a smaller parent sheet of paper, which still requires an additional trim. Example: If your finished page size is 8.5x11 inches and you include elements that bleed off the edge of the sheet, the printer must use paper that is larger than 8.5x11 and then trim it to size afterward. This increases the cost of the paper and of the labor for the extra trim. When working with bleeds in your digital files, extend the element that bleeds beyond the trim edge of the document by 1/8 inch. This amount is sufficient even if the paper moves slightly on the press or during cutting. If you have several items that bleed, use non-printing guides set at 1/8 inch outside the trim lines for ease of placement. If your software does not allow you to bleed an element off the page, use a larger page size and add crop marks at the desired trim size of the final piece.